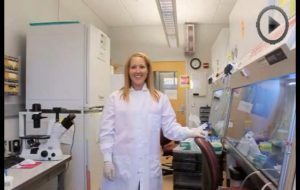 Our Stem Cell Learning Lab was made possible through a 2008 grant from the Ira and Ineva Reilly Baldwin Wisconsin Idea Endowment. Through this effort, we seek to build a greater understanding of stem cell research and regenerative medicine into school and community science outreach programs. Our UW-Madison stem cell outreach labs are among the very few in the country and continue to place Madison at the forefront of stem cell research education and science education. We hope teachers will be able to take advantage of our opportunities and provide more of these unique experiences to their students. Through this free, hands-on experience in our lab at the Biotechnology Center, learners view real stem cells under the microscope and use the same equipment and methods our researchers use to prepare and grow their cells. Our participants, however, use realistic cell and media substitutes due to cost, biosafety and contamination concerns in public settings. To help your visit run smoothly, please contact the UW-Madison Campus Visit Program. If you are interested in scheduling a speaker on stem cells and regenerative medicine for your group, please contact the UW-Madison Speaker’s Bureau. Our outreach programs also tap into many existing UW-Madison science programs, including Science Expeditions, the Wisconsin Science Festival, Grandparents University and UW-Extension 4-H Youth Development. Our Stem Cell Learning Lab is a collaboration among the Stem Cell and Regenerative Medicine Center, Biotechnology Center, WiCell, Wisconsin National Primate Research Center, Student Society for Stem Cell Research (SSSCR), Wisconsin Stem Cell Roundtable (WiSCR), and Community Partnerships and Outreach Staff Network. Since 2010, our stem cell outreach programs have reached more than 50,000 learners. 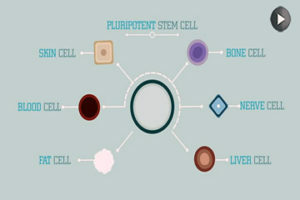 In this educational video, Mimi Gerner, who was a research specialist in the lab of David Gamm, M.D., Ph.D., describes basic stem cell culture techniques.